No other man has had as much influence on the English language and theater as William Shakespeare. 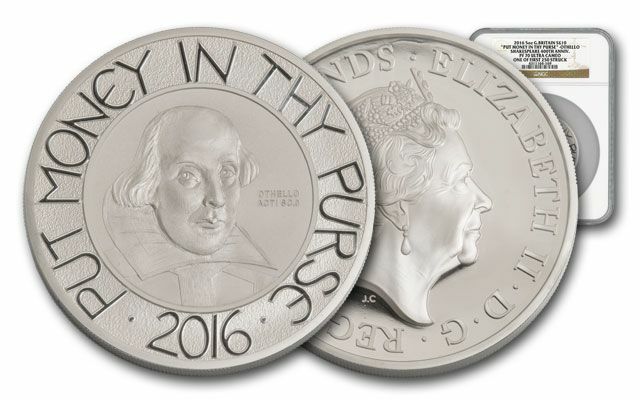 Now, 400 years after his death, Britain's Royal Mint honors the man and his work with this massive 2016 £10 (Ten Pound) Five-Ounce Shakespeare Silver Proof. 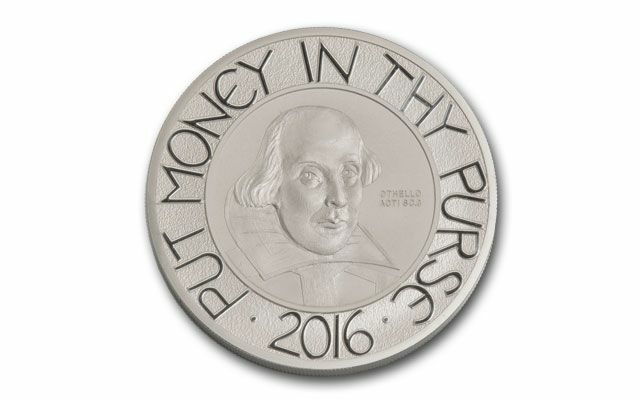 The reverse features a portrait of Will, the date, and the appropriate quote from Othello, "Put Money in Thy Purse." 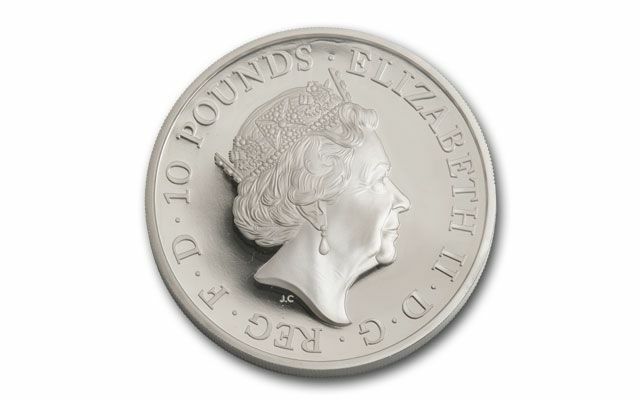 The obverse displays Queen Elizabeth II. 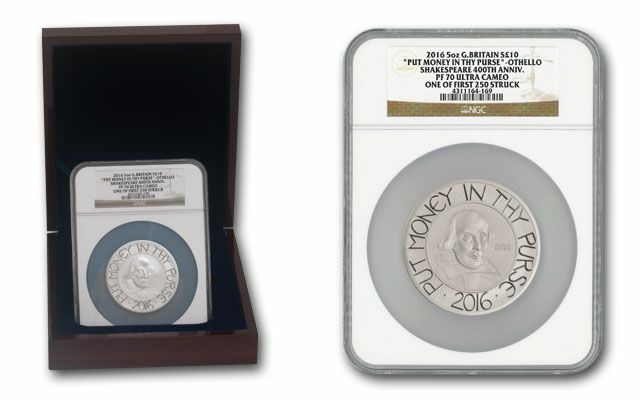 This frosted reverse proof is a truly spectacular work of art in its own right and must be held close up to be truly appreciated. A mere 750 were minted. Each grades Proof-70 Ultra Cameo (PF70 UC) by Numismatic Guaranty Corporation (NGC). Each is also designated First Releases (FR) and is one of the first 250 Struck. Don't get thee to a nunnery, get thee to a checkout page to secure yours!